One of my all-time favorite candies are truffles and I finally embarked on my first foray in truffle making this week. Added bonus: they were Christmas-themed (Gingerbread). I took the advice of the reviewers on Epicurious's site and doubled the spices, gently reheated the cream mixture after it steeped and then made them less sweet by rolling them in cocoa powder. You can always dip them in more chocolate though to make them extra decadent. 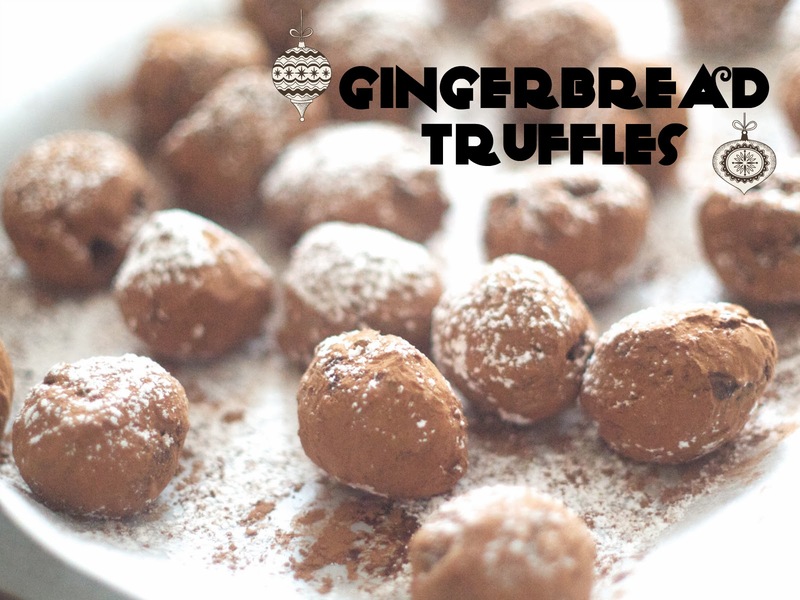 If you are patient and don't mind waiting the extra time for the truffles to set and also don't mind getting your hands pretty messy, then these are for you. Delicious but high maintenance. But totally a winner. 1. Combine cream, cloves, allspice, molasses, ginger, cinnamon and salt together in a saucepan and bring to boil. Remove from heat and let sit for an hour. 2. Simmer water in a pot and place metal bowl over simmering water. Add chocolate to bowl. Stir until smooth. 3. Reheat cream gently and then strain into melted chocolate. Stir and then add in crystallized ginger (if using). Chill mixture until firm, about 3 hours. 4. Line a baking sheet with parchment paper. 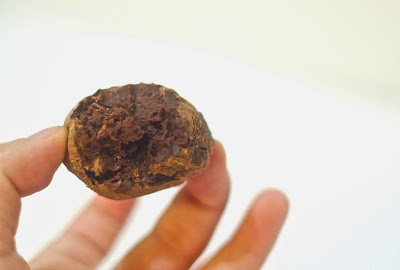 Using a cookie scoop or a melon baller, scoop out chocolate mixture and roll into balls. Place on parchment paper and chill again for 2 hours. 5. 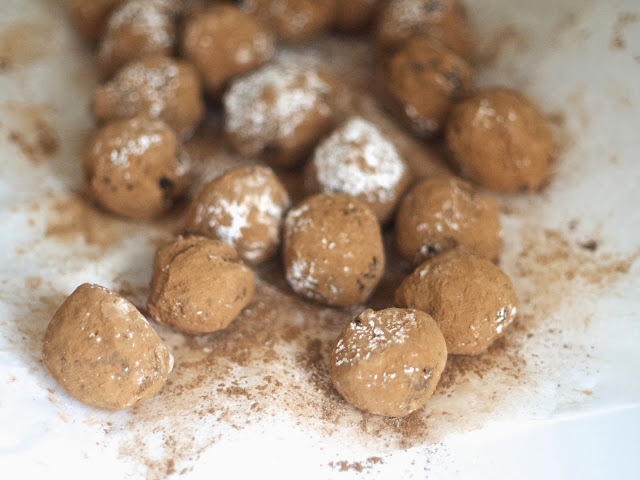 Roll chilled balls into cocoa powder. Chill again for 2 hours. Top with powdered sugar, if desired. 6. Let sit at room temperature for 30 minutes before eating. Enjoy!